The Wells-Barkerville area has some of the most incredible trails in the province of British Columbia. Not only do they make for great riding, but they are loaded with some of earliest history of the Province. 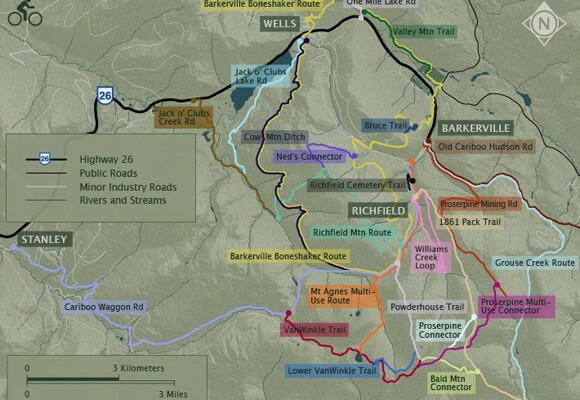 From gentle boardwalk trails through quiet wetlands to day-long epic mountain expeditions through stunning alpine terrain, the Wells-Barkerville trails network offers access to some amazing Cariboo riding. Unique to Wells, a few of the trails were constructed before British Columbia was a province. You can find evidence of the great Cariboo Gold Rush throughout the area, yet because of the lack of development, you’re still able to experience much of the landscape in the same condition it was in when the first prospectors came. 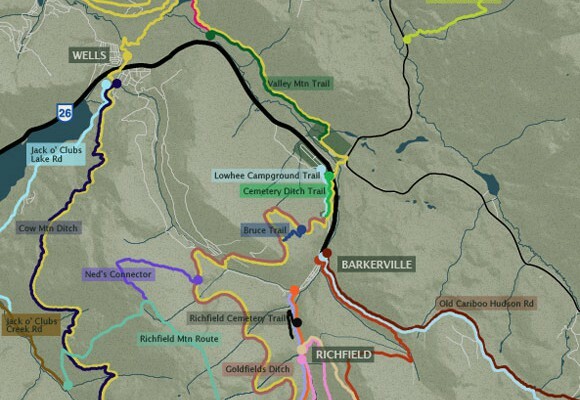 This is addition to some new trail developments that take you into the Cariboo mountain through some epic alpine riding terrain. From Seattle or Vancouver you’ll be taking a nice drive up the Thompson River on highway 1 then 97 to the Cariboo. Its about a 8 hour drive once you get to Vancouver. 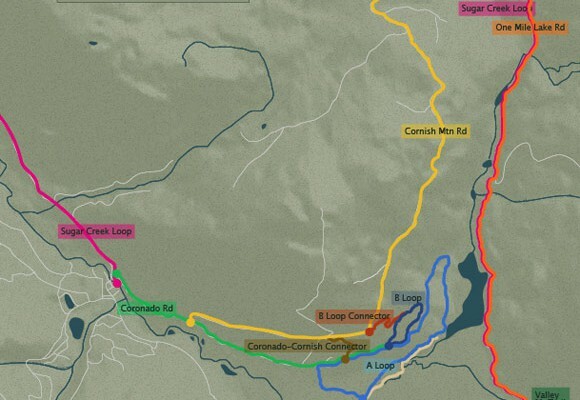 You can also access the Cariboo by any means through Kamloops, BC. Once you reach Quesnel, you’ll drive through town and take a right onto Highway 26 and head to Wells while is about 70Km down the road. You can’t miss it. The Wells, Barkerville, Bowron Lakes area is a great place to explore. A unique mountain wilderness full of arts, history and adventure, this amazing area is one of British Columbia’s truly undiscovered gems. Originally a company town managed by the Cariboo Gold Quartz Mine, Wells was a thriving community of 4500 during the 1930s. In 1942, Wells had a population larger than either Quesnel or Prince George. However, when the mines closed in 1967, Wells was eclipsed by the larger centres. Today, with restored heritage buildings, a vibrant arts scene and amazing scenery, Wells is becoming famous as a destination for the arts, heritage and outdoor adventure. 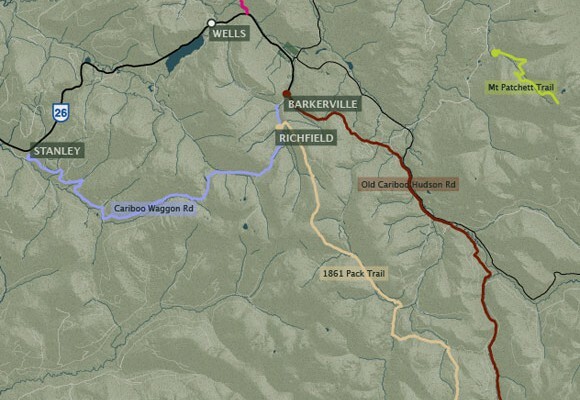 The town is the bedroom community for Barkerville Historic Town and the gateway to Bowron Lake Provincial Park, one of the top canoeing circuits in the world. Be sure to make your first stop in the community the newly constructed Wells and Area Visitor Centre and rest area at the Jack O’Clubs Lake Pullout at the end of Jack O’Clubs Lake. The friendly and knowledgeable staff will be able to assist you in all facets of your journey, including information on local entertainment choices, dining, accommodation, groceries, local ambulance and police services. A must see on your visit to Wells is the Wells Museum. Located in the former Island Mountain Mine office, (first left turn past Jack O’Clubs Lake on Hwy. 26), the Wells Museum offers a fascinating history of the community, and is a great place to start exploring this charming community. Recreation trails abound on the meadow and mountains surrounding Wells. In summer and winter, venture into the backcountry with local tour operators or on your own to enjoy scenic views, fresh air and peaceful surroundings. Multi-use trails include hiking, biking, cross-country skiing, snowmobiling and dog-sledding, and there are roads for ATVs and 4WD vehicles. Barkerville Historic Town located 8 km from Wells is a world-famous historical attraction. Each year, thousands of visitors from all over the world travel to the foothills of the Cariboo mountains to take in this one of a kind heritage attraction, much like miners and prospectors did during the original gold rushes. Today, Barkerville is a historic site like no other. Unlike many gold rush towns from this era – which have long since disappeared – Barkerville remains a thriving place, rich in history and full of life. You can tour the town with one of the colourful characters from Barkerville’s past, watch the notorious Judge Begbie strike fear into the hearts of history’s criminals, witness authentic gold rush theatre, and see a real Cornish Waterwheel in action. Pan for gold with your family and friends, visit Barkervilleís well preserved Chinatown, and go back to school in the 1800s. Or, learn about the town at your own pace by visiting our historic buildings and beautiful displays. Our town’s merchants, restaurants and accommodations will provide you with everything you need for a genuinely comfortable trip into the province’s past. 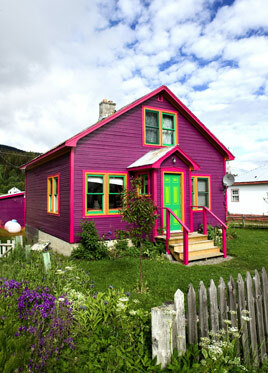 Be sure to leave some time to experience the colourful arts community of Wells or the amazing 1860’s Historic Town of Barkerville. We suggest riding during the annual Arts Wells music festival (www.artswells.com) on the August long weekend for a truly memorable experience.